This product is available in Flipkart, Snapdeal, Ebay, Infibeam. 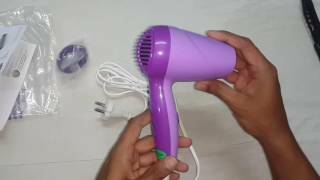 At flipkart.com you can purchase Philips HP8100/46 Hair Dryer(Purple) for only Rs. 699, which is 9% less than the cost in Snapdeal (Rs. 764). The lowest price of Philips HP8100/46 Hair Dryer was obtained on April 22, 2019 3:39 pm. Works only if you have short hair. Folks with longer hair will need a much more powerful blower. There is a reason why hair salonists use bigger and heavier dryers. Cheap but useful. Worth for money. Can be useful for house purpose and not for professional use. As the name of the brand goes.! Very great product and the fan speed is unbelievable. As of now its working fine. The best part is that the dryer is small in compare to regular dryers so it is travel friendly. Cord length is also good. Good for regular use. 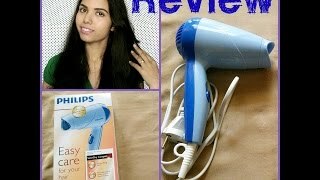 The product is good but the only thing I did not like was that it didn’t come with the Philip’s outer packaging..It’s not noisy as other hair dryers… The temperature control setting works well..